Hey kids. Do you like attitude? Do you like sharks? 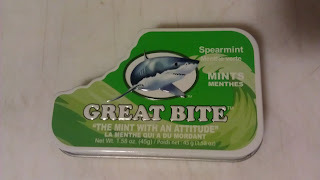 How about mint gum shark candy for all you surfer ninjas out there? I guess that's the marketing scheme they went with when creating this candy. It's not a terrible idea, as it does have a certain awesome factor. 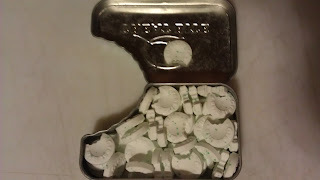 The candy comes in a sealed tin with a giant bite mark out of it. That alone is pretty cool, but that's not the end of it, which we will get to in a bit. It's loaded quite full with their mint candy. The candy itself does taste like mint, but is far from overpowering. 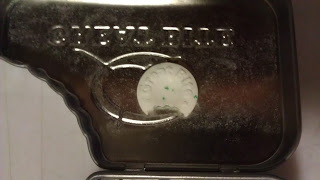 A close up shot of the candy shows that the candy itself has a nice bite mark out of it as well. It's always good when people stick with a theme. But before we get too deep into conversation of how great the candy is, here's the money shot. 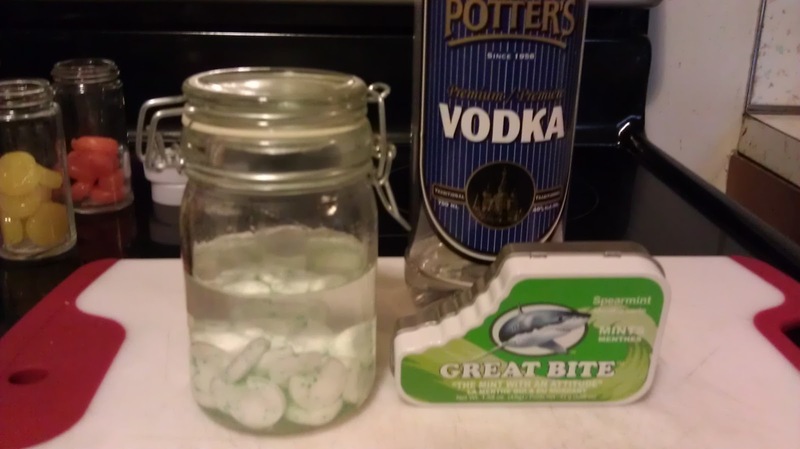 I pretty much used up the rest of my Potters Vodka on this. The rest of it disappeared into other alcoholic drinks. It took about 4 days for it to break down, so it loses a point there. This could have been sped up if we took the time to crush the candy, but that seems like an unnecessary step. 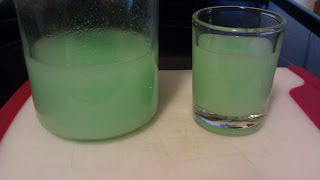 It has an interesting green colour to it, which is good because we can mistake it for a mint drink. It tastes pretty good. There isn't a burn of alcohol, which through my many experiments with alcohol, it synominous with mint vodka. 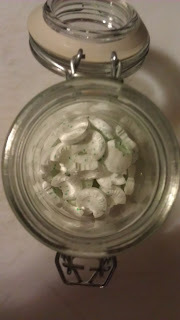 I would strongly recommend making it, though you'll be hard pressed to find the candy.